Zane Benefits, the leader in individual health insurance reimbursement for small businesses, announced today the publication of a new guide "Health Reimbursement Accounts in 2015." 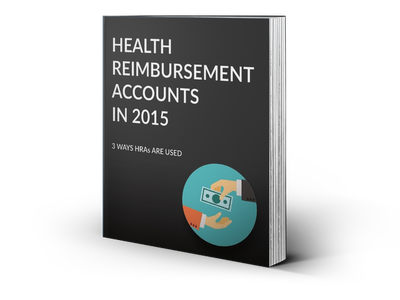 The easy-to-understand eBook helps small business owners understand which HRAs are compliant in 2015. According to Zane Benefits, small business owners face the daunting task of finding the best health benefits for recruiting and retaining employees. As businesses look for ways to offer more affordable and sustainable health benefits, many small businesses have turned to Health Reimbursement Accounts. More recently, however, health reform brought sweeping changes to the health insurance industry, including how employers can use HRAs - leaving many small business owners confused. The changes caused small business owners to ask themselves "Which type of HRA is compliant?" Employers, health insurance professionals, and CPAs are invited to download the new eBook to gain a new understanding of HRAs.